A source passed along a tip that Rima Maktabi may no longer be with CNN. Her twitter bio, which used to boast about her role as "CNN Anchor and Correspondent" is now reduced to nothing. Her bio is missing from the "Anchors" list but remains in the "Reporters M-Z" section which may mean nothing since the bio for Reynolds Wolf is still listed (and he's now freelance at The Weather Channel/NBC Universal) as well as Kathleen Parker, Bill Tucker, William Bennett, Gloria Rodriguez Mulloy, Sasha Rionda, (although those bio links are dead). CNN Press Release - Sara Sidner is moving to CNN’s Jerusalem bureau as senior international correspondent, the network announced today. Sidner will join CNN’s contingent of correspondents across the region, as the network underlines its commitment to Israel and the Middle East. 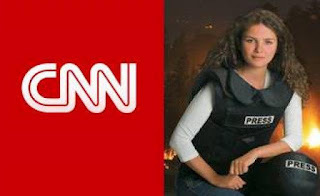 In addition to its Jerusalem bureau, CNN has a production hub in Abu Dhabi as well as major operations in Amman, Cairo, Baghdad, Dubai and Beirut, where just last week the network added both a correspondent and producer/shooter. Sidner shared the Achievement of the Year award at the 2011 Sky Women in Film & TV Awards for her reporting during the conflict in Libya. The WFT panel praised the example she had set to colleagues by taking to the streets alongside rebel fighters and reporting under fire in Tripoli. With more than 15 years of television journalism experience, she has covered many stories of national and international importance, including the Mumbai terrorist attacks, the Pakistan floods, the Chile and Haiti earthquakes and Afghanistan’s elections. 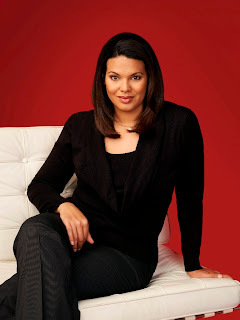 Most recently she has been based in New Delhi, where she was responsible for CNN’s coverage of India and South Asia. CNN - With the studio's new technical tools and data visualization capabilities, the network is better positioned to tell the story for viewers on data-heavy nights like election night or during breaking news. 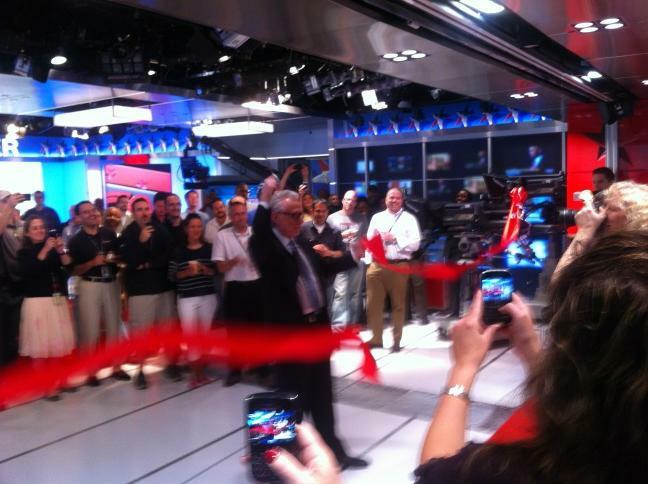 The studio is a dual purpose facility; it has a dividing glass wall that enables the network to have simultaneous broadcasts in two separate studios or it can be one open space for big production programming, such as Election Night 2012. Take a behind-the-scenes look at the creation of the studio with time-lapse photography. CNN contributors Donna Brazile and Alex Castellanos get a glimpse inside the new CNN Washington studio.